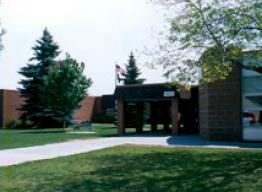 Shepardson Elementary School, opened in 1978, was named for educator Margaret Shepardson. Shepardson believes in adjusting learning activities to address individual learning needs, styles, and interests. At Shepardson inquiry-based learning is fostered through the integration of Science, Technology, Engineering, and Mathematics (STEM), along with the inclusion of arts and wellness. Reading, writing, and math, coupled with creative and critical thinking skills are strengthened as Shepardson encourages students with diverse needs to be engaged and motivated to learn at high levels. Some of the many extended learning options include academic skill support, an extensive after-school enrichment program, peer mediators, student council, Lego Robotics teams, and academic bees.